I was able to speak with local TV and Wisconsin Public Radio about the Midwest Craft Brewers’ Conference, and my experiences homebrewing and working with brewers. 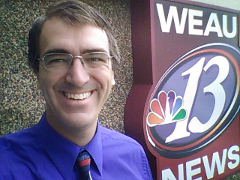 Anna McCabe, the conference organizer asked me to join her to talk with Courtney Everett of Hello Wisconsin on WEAU TV on July 20th. We also spoke with Al Ross of Spectrum West on Wisconsin Public Radio about the conference. We spoke about homebrewing, craft brewing, and the community that grows up between home brewers and commercial brewers. Listen to the Interview . . . 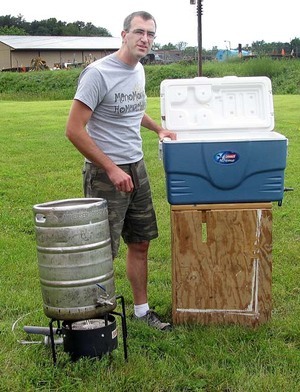 The Brewing Network is a great resource for learning about homebrewing and craft brewing. Some of m y favorite shows encompass detailed information about the brewing process, information about breweries I don’t get to try very often, and the hosts having a great time talking about all things beer. My knowledge of beer and brewing grew by leaps and bounds by listening to shows like Can You Brew It?, Brew Strong, Brewing with Style, and many of their other programs. I got to speak with the brew casters about my experiences in home brewing. It was great to get to talk to some of the brewers I’ve learned so much from. Listen to the Episode . . . The Leader-Telegram interviewed me about helping organize the homebrew competition that is part of the annual Dunn County Fair. Posted: Tuesday, July 15, 2014 11:53 pm | Updated: 12:57 am, Wed Jul 16, 2014. MENOMONIE — County fairs typically include judged competitions of all sorts, from farm animals to pies to projects made by 4-H members. Read More . . .